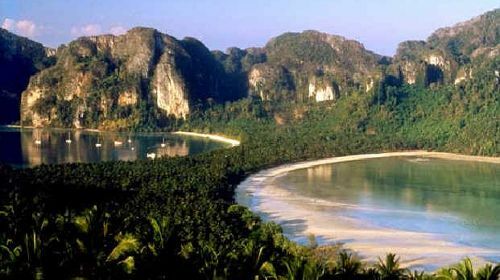 Thailand – the land of smiles! Yes – certainly for Scuba Diving on Phuket, Thailand and the Similan & Surin islands in the Andaman sea! Its always warm, mostly excellent diving and fun however…here a list of tips for scuba diving Phuket. Merlin Divers scuba diving center and dive school wants you to be well prepared for your diving holiday on Phuket. Merlin divers encourages you to read this artice. We hope one or two things that you read here are new to you or at least helpful for your planning of your scuba diving holiday in Thailand. The dive team of Merlin Divers has compiled a list of tips for scuba diving Phuket – general scuba diving recommendations, hints, tips and advice – what to bring, what to be aware of for scuba diving in the tropics. With warm, clear water diving in water that is 28 – 30º Celsius all year round you usually only need minimal to moderate exposure protection. Some scuba divers dive without wetsuit – wearing just shorts and a Lycra shirt. Most of our staff at Merlin divers use this option – or wearing a shorty 3 mm neoprene wetsuit. Many professionals working in the scuba diving industry in Thailand and diving around Phuket use a full body 3 mm wetsuit – mainly because diving daily 2 -4 times requires a bit more protection. Rental equipment at Merlin Divers only uses shorty 3 mm wetsuits – and that is fine with 99% of our customers. For divers considering bringing their own scuba dive equipment 3 mm wetsuits will do – shorty or full body length. For those having low blood pressure or if you are sensitive to rapid heat loss – we recommend to bring along at least a full body 3 mm wetsuit or even a 3 mm. Merlin Divers and most of the scuba dive schools in Thailand use only the tank valve with standard yoke system – where you attach the regulator to the tank valve by screwing the first stage onto the valve. For regulators mostly used in Europe – where you screw the first stage into the tank valve you need a connector – called DIN Adapter. DIN stands for German Institute of Standardisation (Deutsches Institut für Normung). If you are considering bringing your own regulator but you don’t have a DIN Adapter you can get one from Merlin Divers for free while diving on Phuket. Alternatively – of course you are welcome to use the retail section of Merlin Divers dive store and get your own. A small torch can be very handy. Many smaller but interesting creatures hide deeply in crevices in the walls and corals. You can only find and see them clearly if have got a light with you. Of course for night diving you need a proper dive torch. If you book a scuba dive trip on Phuket where a night dive is included – like some day trips, all overnight and liveaboard tours a torch will be provided and is normally included in the scuba dive trip price. Should you have a small light or a bigger one – as mentioned above – why not bring it along. In Thailand not all the scuba dive spots are blessed with lots of pelagic species. You will be delighted what else you can discover by carrying a light with you on all the dives. Our retail section carries a good variety of lights. In the case you are interested in buying a torch ask in our shop. On our local dives on Phuket – mostly shallow dives – hardly deeper then 18 meters the divers will not need a dive computer. Mainly because our customers are guided by well trained Divemasters and we always stay well within the safety limits for recreational diving. For all the other trips a scuba dive computer is highly recommended. As soon as you are planning to dive 3 times in a single day or even up to 4 times – like on most liveaboard trips – you are much better off with your own diving computer. The retail area of Merlin Divers displays a good range of Suunto dive computers. And if customers would like to buy a model we do not have in stock – any model of Suunto is available within 12 hours – provided it’s not Saturday. Our trade partner in Phuket is closed on Sunday. Dive computer for rent are available for your diving trips around Phuket with Merlin Divers. YES – not this is not a joke. One of the most underestimated risk factors for scuba diving in Thailand is – getting sunburned. Breezes at sea will make it feel cooler than on land, but the sun is still as fierce, and there is a considerable risk of sunburn unless adequate precautions are taken. Even on a cloudy day you can get easily sunburned. Best practice and recommended for the health of you skin is wearing a shirt. The Lycra shirts – a material of nylon and spandex – come with a sun protection factor of 50 and at the same time are perfect to wear for diving. The Lycra shirts quickly dry and are then a good wind protector too. Another big risk factor for scuba diving in Thailand – especially in the south around Phuket – is dehydration. It is easy to become dehydrated. Many divers are used to having breakfast and drinking coffee or tea. Both drinks contribute to loss of fluids. For a smoker you can make it even worse. Without drinking plenty of water you further dehydrate with every dive you make. The air in a scuba tank is filtered and dry and you lose a good amount of water just by breathing. To compensate the loss of water and prevent dehydration divers should drink at least one liter of water before a dive. And over the course of a day 3 – 4 liters of water. Merlin Divers depends on a proper conduct towards our environment. If the reefs and the corals are gone the dive operator Merlin Divers loses its reason to exist. You lose the opportunity to snorkel or scuba dive and see the beautiful and rich marine life around Phuket, Thailand. Don’t provoke any marine life – it can sting or bite back. Don’t touch or pick up anything – if it’s man made item like a beer bottle or a plastic bag it’s ok.
Avoid walking on shallow reefs – corals and fragile reef species easily break or die. Maintain good buoyancy control to keep clear from the reef. Avoid any equipment dragging across the reef. Never stand, sit, rest on or touch living reef species. Avoid kicking up sand it settles on corals and other reef animals and suffocate them. Avoid feeding fish to not disrupts natural behaviour.Tips for scuba diving Phuket provided by Merlin Divers Phuket. Should you have any more questions please do not hesitate to contact us. We hope you enjoyed reading our list of “tips scuba diving Phuket”.